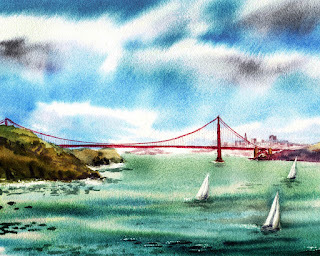 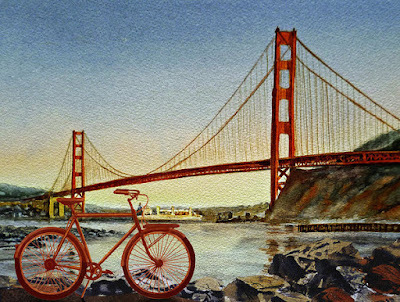 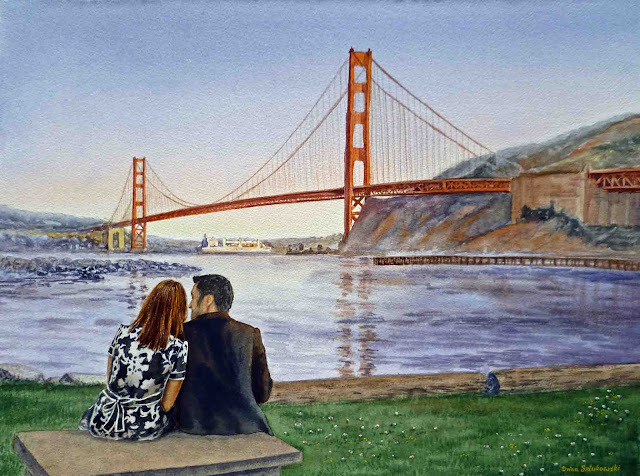 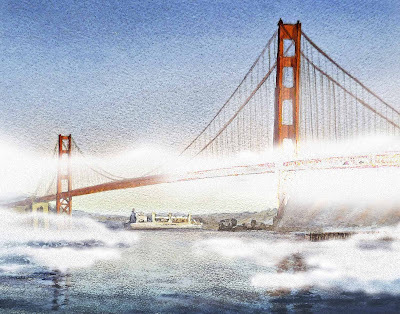 I am lucky to have an opportunity to paint Golden Gate Bridge so many times in the last several years. 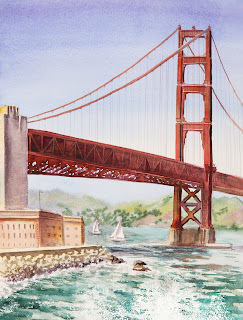 Most of the instances I was outside, catching the best weather trying to capture the essence of the beautiful City At The Bay and graceful lines of Golden Gate Bridge. 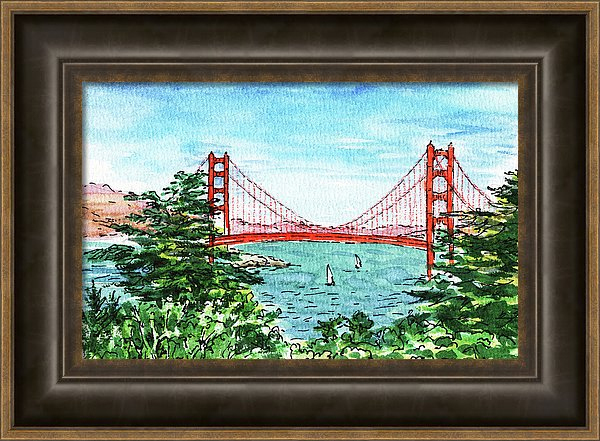 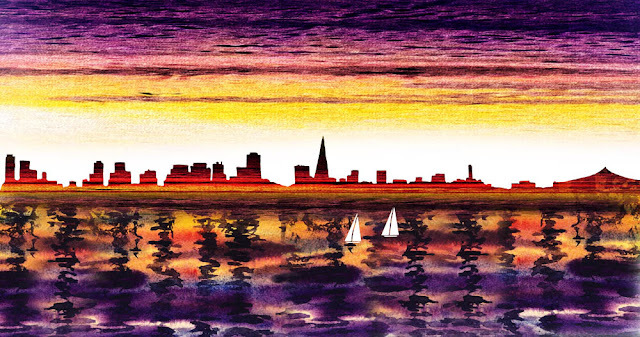 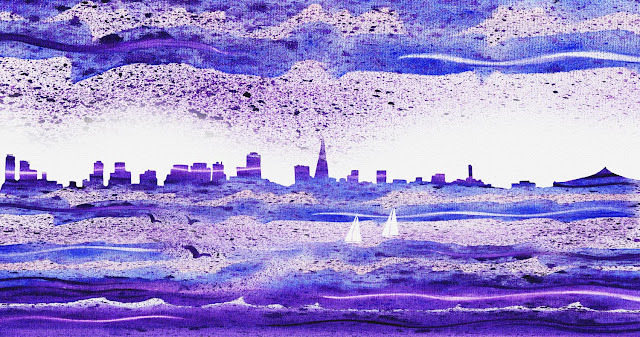 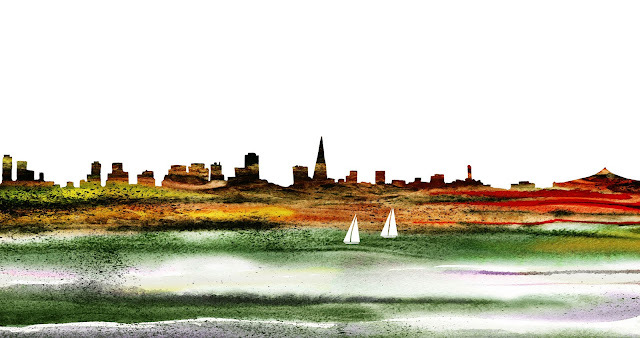 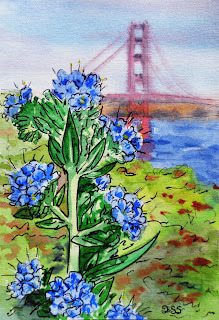 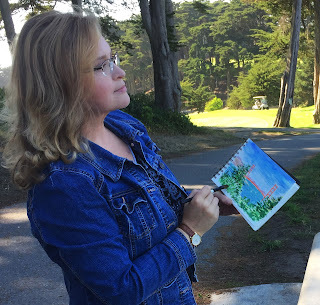 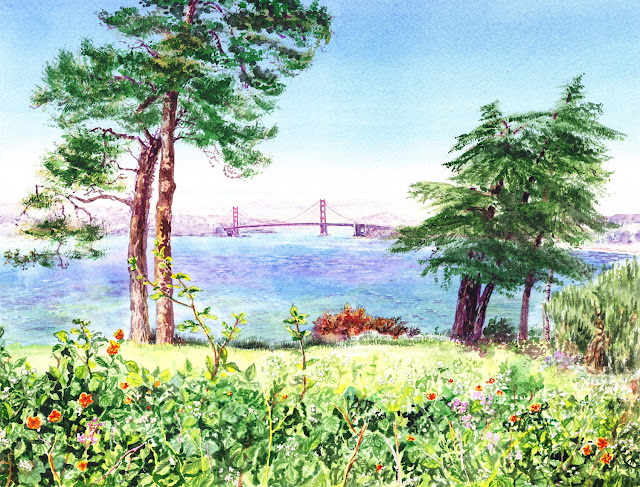 And I believe each time I went painting, an artwork had something to tell to the viewer; it definitely spoke to the observers conveying my fascination by the beauty of San Francisco Bay Area. 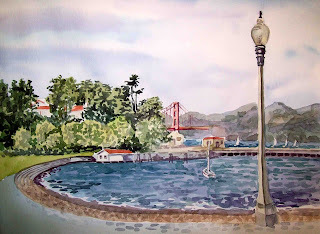 All the above paintings were done en-plein-air style, e.g. painting in open air, outside, right the same place and time. 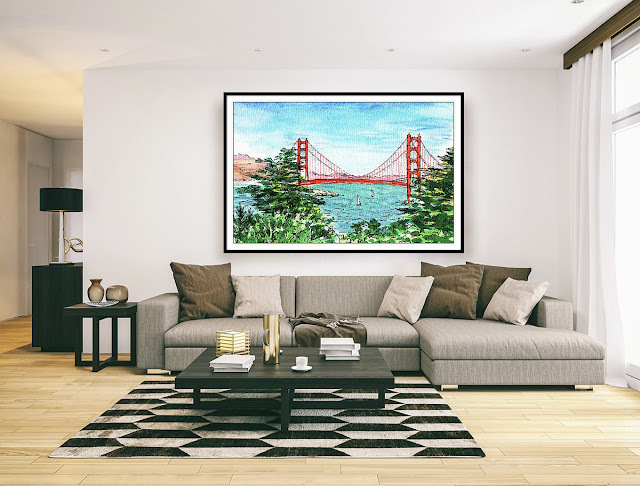 Surprisingly enough, my Art Collectors do love the abstract pieces for home decor as much as they like the classical realistic art.